The state budget is stalled with less than a week to go before the fiscal year ends, but that doesn’t mean the Legislature hasn’t been busy. On Monday, both houses held lengthy voting sessions while Democratic legislative leaders and the Governor negotiated over the state’s spending plan. Among other things, law makers passed a bill to increase payroll taxes in Jersey City, improve New Jersey’s innovation ecosystem and boost the media industry. 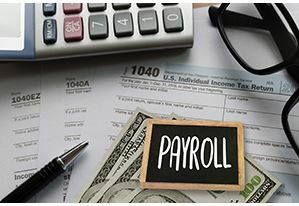 The bill would allow Jersey City to impose a 1 percent employer payroll tax on its businesses, adding yet another expense for employers who are already facing a host of costly mandates in the highest taxed state in the nation. This tax proposal would impact businesses of all sizes. Jersey City has made an economic turnaround by being a cost-effective alternative to doing business in New York City. Imposing new costs on business like a payroll tax will continue to chip away at that competitive advantage. A 17-member New Jersey Commission on Science, Innovation and Technology would be established to promote and coordinate high-tech research and entrepreneurship, replacing the former New Jersey Commission on Science & Technology. The added focus on innovation in this bill falls in lockstep with one of NJBIA’s core missions of regaining New Jersey’s status as an innovation leader. The commission would be in, but not of, the Department of the Treasury, and provide for new membership. The new commission also would appoint an Innovation Council from its membership to focus on strategies for leveraging the transfer of technology research between academia and industry.